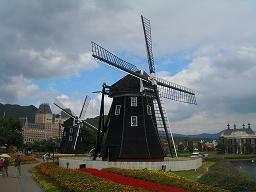 I went to HUIS TEN BOSCH today. There were a lot of students on school excursion. It was very hot and became tired. However, the flower was beautiful. This time, I t want must to come even at some events either.